The man who was once the champion of online poker in the US, Senator Harry Reid, is now backing the efforts of Sheldon Adelson to have the industry outlawed within the country. Earlier this year it emerged that Reid had reversed his support of igaming and was now backing the billionaire Adelson. However, in recent days he's reconfirmed his support and suggested he will push for an overall ban if necessary. After coming out and declaring war against online casino games, Reid stated that he would try to get a carve out for poker worked into any federal bill that outlawed igaming. However, during an interview on Monday he suggested that he would also ban online poker if he has to. "Unless we can get something done with poker, I'm going to look closely — I haven't made up my mind — but I'm going to look closely into banning it totally. I'm going to take a hard look at it. 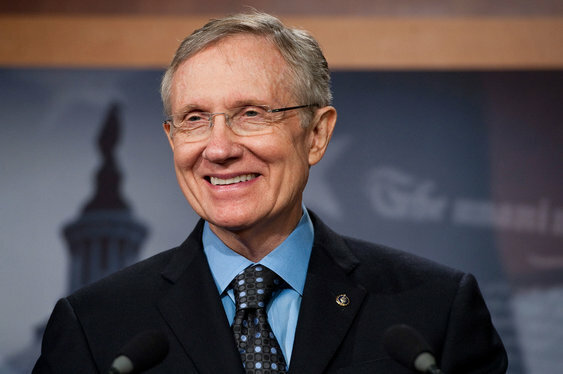 It would be something I would certainly consider strongly," Reid told the Las Vegas Sun. This news, although disappointing, won't come as much of a surprise to many poker players who have long suspected that Reid would be turning against the industry. Although his support of Adelson and RAWA is a cause for concern, it shouldn't be too much of a worry for the industry. Reid is now moving away from the political mainstream in the US and while he will still have some sway with those in power, it's unlikely he has enough gravitas to completely change the minds of those in favour of maintaining the igaming status quo.